So theoretical question here. In my state cops love to park their cruisers out of sight and stand behind the toll booth, looking and listening for the slightest hint of something illegal to nab you for. The only problem is, they only stand in the cash only line. the EZ pass lanes have a 15 MPH limit, so it would be just as easy to stand there and do the same thing. Does this sound above board? 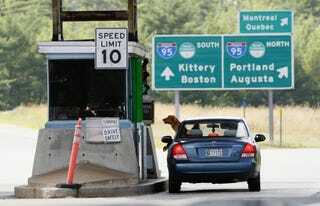 Or are they figuring people without an EZ pass are either lower on the social rung or out of staters? Are they figuring that less money or the lack of a bank account means you drive a crappier whip or are more likely to bend the law?